There are 28 miles of trails at the park. Forest Park may be designed primarily for pedestrians, but that does not mean mountain bikers can't find a solid route or two in this world-class urban trail system. It is true that most of the routes are still cut off to bikers, but there are a handful of fire roads and singletracks that combine to make roughly 28 miles of pretty solid intermediate trails. This trail is so easily accessible from downtown, it makes for a perfect after work ride or lunch time ride when you are growing tired of city life and need to escape to the woods for a bit and get on your bike. The ride on the Lief Erikson Trail described above is easy because of its fair grade and lack of things to dodge like roots and rock, which makes it perfect for someone new to mountain biking or those looking for a quick opportunity to get in the woods and stretch their legs out a bit. On Leif Erikson, you will be surrounded by all different types of greenery in a forest that feels like a classic northwest forest. 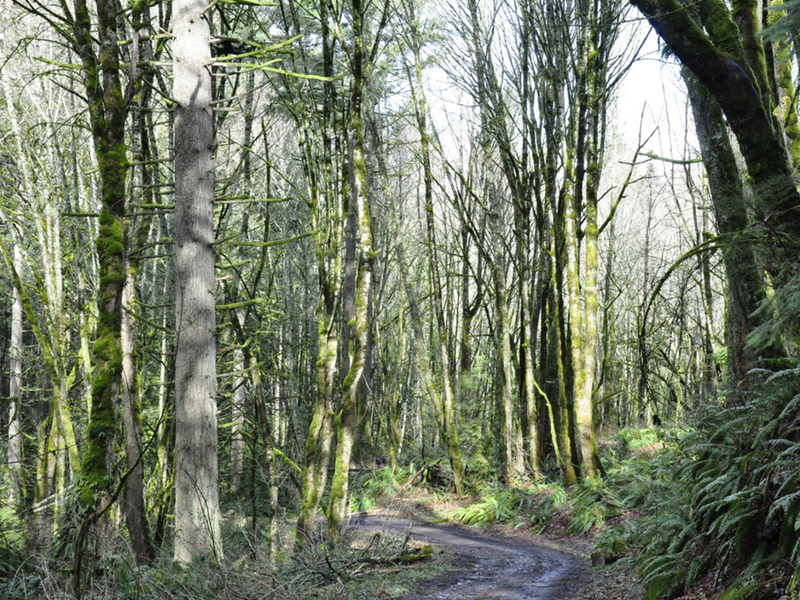 Currently, there are 12 Forest Park trails and roads with designated mountain bike access: the Leif Erikson Trail, Saltzman Road, Springville Road, BPA Road, Newton Road, and Firelanes 1, 3, 5, 10, 12, 15, and Holman Lane. Of these, the Lief Erikson route is a very popular one, stretching roughly 11-miles, with a generally consistent elevation profile, so there are not too many steep ups and downs. When riding on Leif Eriskon, be especially mindful of other trail users, as it is popular for hikers and trail runners as well. While Forest Park might not afford classic singletrack with technical, flowy terrain, its proximity to downtown certainly makes it a worthwhile destination for mountain bikers of all skill levels. The gentle grade of the Leif Erikson Trail makes it accessible to less experienced riders, while the length makes it appealing to those with more experience. This is a great option if you are trying to get out for a quick ride with your mountain biking buddies of various skill levels because there is something for everyone to enjoy. And let’s be honest- it is worth it just to escape into the woods for a while with your bike. 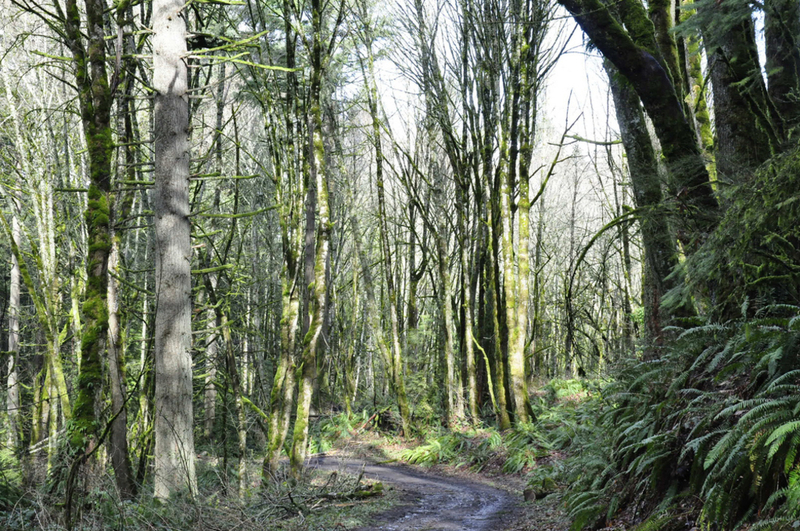 The Leif Erickson Trail begins at the end of NW Thurman Street. To get there from US 30W, take the exit to NW Vaughn Street and turn left onto NW 26th Ave. NW Thurman Street is your second right and the trailhead will be on the left. Because of its accessibility and fair grade, this trail is very popular. It is likely that it will be crowded on nights and weekends, so be prepared to have to park farther down the road and walk up to the trailhead.